Can Waffles be Savory? Yes, they can and guess what they taste super delicious with some spicy chutney or a dip. I usually prefer some kind of hot breakfast in the morning. When I woke up this morning, I wanted to have Vegetable Uthappam. I had some Dosa batter in the refrigerator. All of a sudden, while taking out the pan for making the uthappams; my eyes went on the Waffle maker sitting next to the pan. 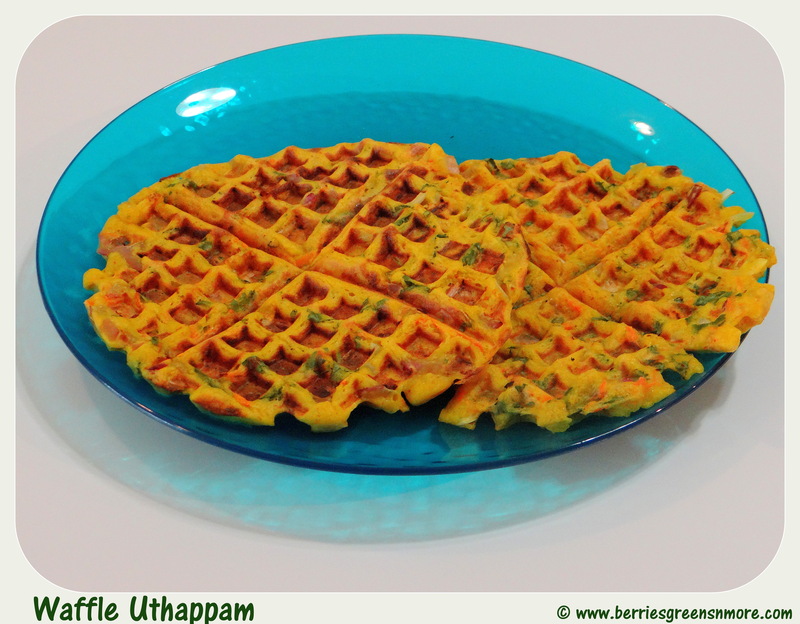 I thought why not make some savory Waffle Uthappams. 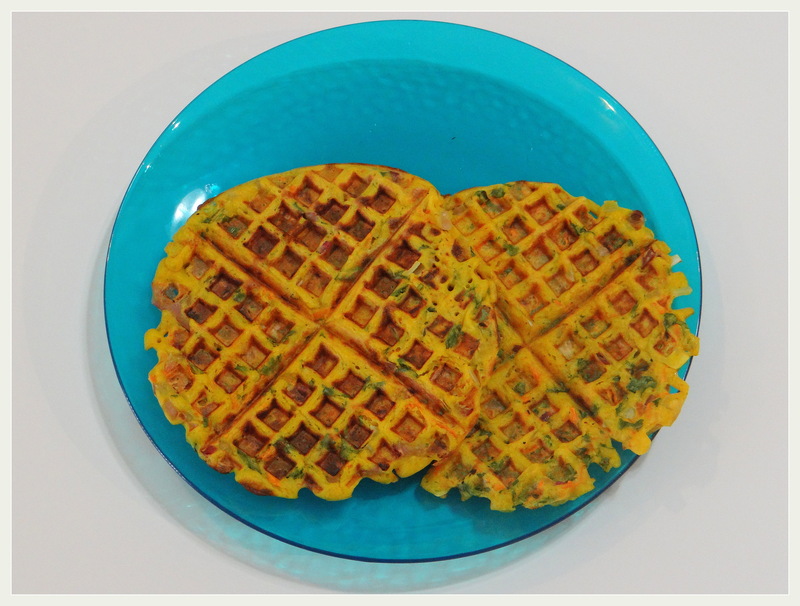 So here, it is my version of a Savory Waffle Uthappam that taste so delicious and I am sure it will become a part of every family’s regular breakfast menu. So what are you waiting for ? Lets get started !! 1. Take the Dosa batter in a bowl. Add the chopped vegetables, coriander, chilli, chutney powder, turmeric and salt. Mix well. If batter is thick, add 1 or 2 teaspoon of water to adjust the consistency. 2. Pre-heat the Waffle maker according to your brand instructions. 3. 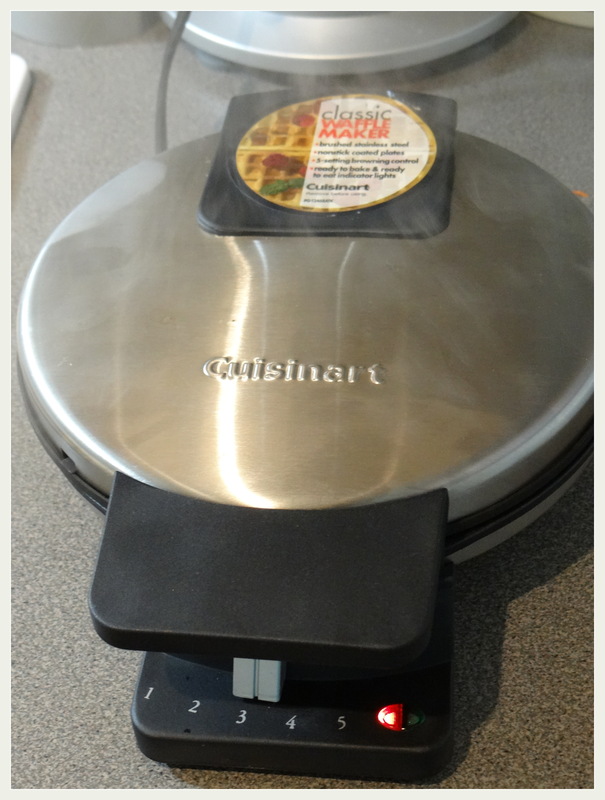 When ready, spray some non-stick coconut oil on both the sides of the waffle maker. 4. 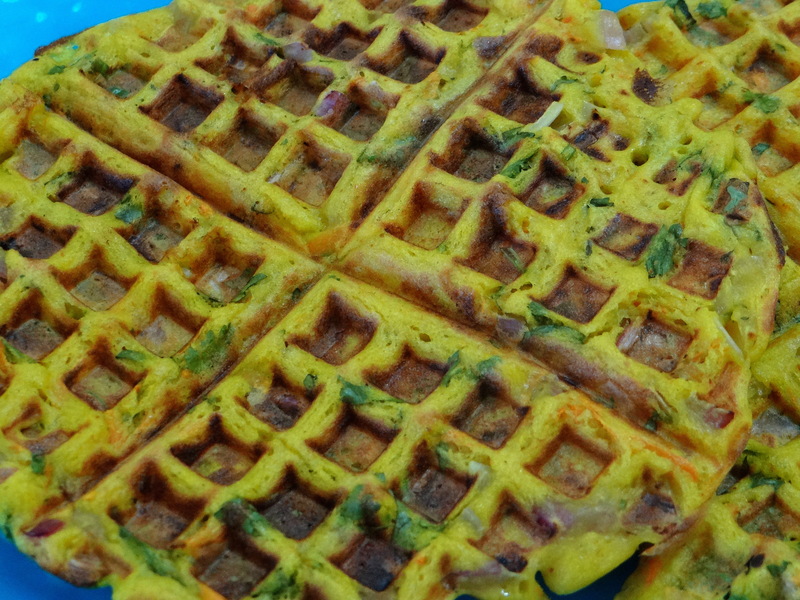 Pour 1 cup of prepared Uthappam batter on the waffle maker. 5. Close the lid and set it to the desired setting. I like my waffles to have some color but not very crispy so I set it to level 3 as per my waffle instructions. It takes about 5 minutes for the waffle to get ready with crispy edges and still soft like a Uthappam from center. 6. When ready, serve hot with a chutney or dip of your choice. Enjoy !! 1. 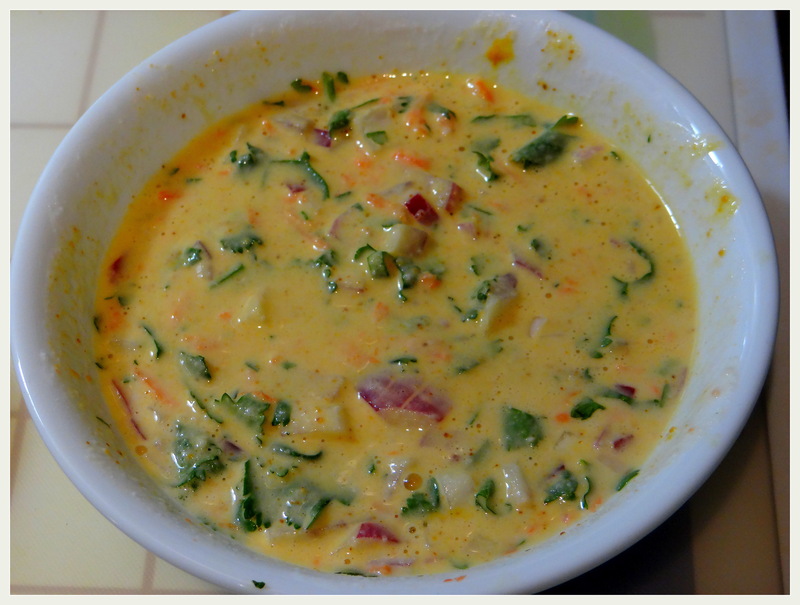 You can use your own recipe for making Dosa batter or even use store bought. 2. 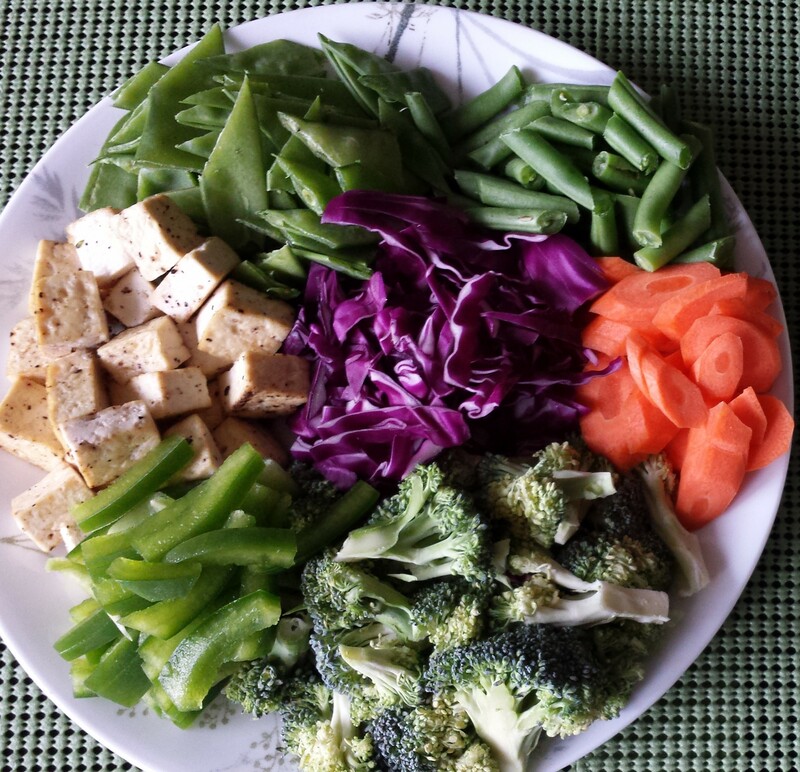 Any other choice of vegetables can also be used. 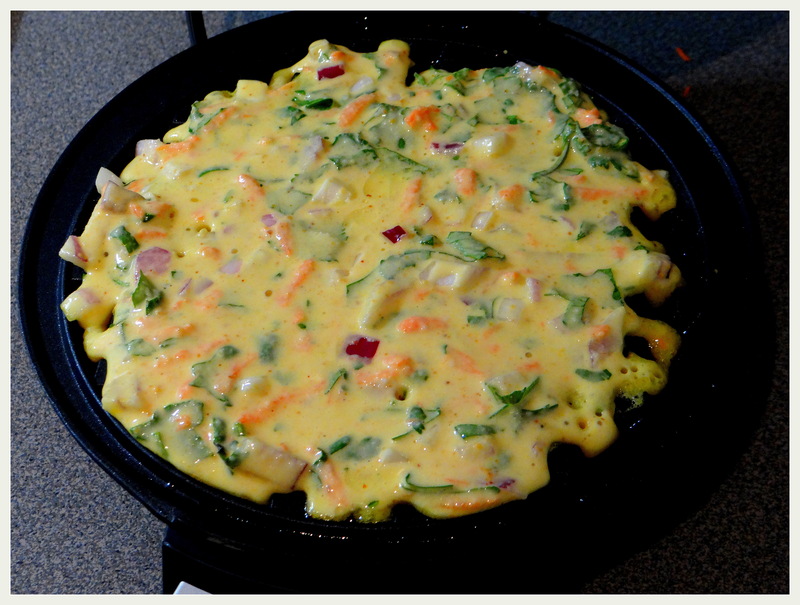 Awesome uttapam, very good innovation. How innovative… Will definitely try it. All the best..